At VMworld 2017 U.S., VMware announces the availability of several strategic initiatives. VMware CTO Chris Wolf outlines the day’s announcements. 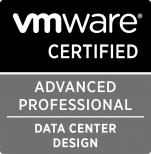 Announcing Three New VMware NSX Guides! These are terrific resources. Download them from the links in the article! VMware, the company that gave rise to the virtual machine concept in the enterprise data center, announced a series of products and services today at VMworld..